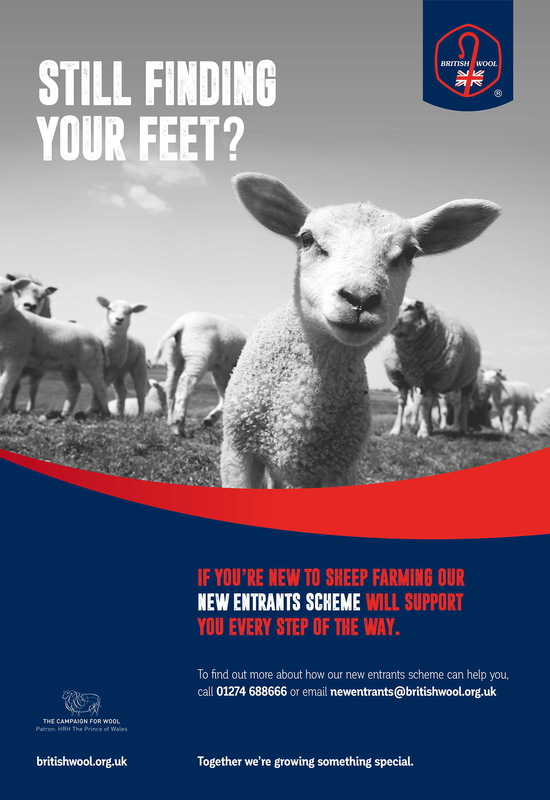 British Wool’s new entrant’s scheme is designed to support sheep farmers who have recently entered the industry. It allows eligible producers to receive 100% of their clip value as an upfront payment for their first two years, along with a priority wool grading service through British Wool’s nationwide depot network. Following this initial period, producers will transition on to the standard payment scheme over the next three years by way of adjusted balancing payments. In order to be eligible for the scheme a producer must not have previously been registered with British Wool and have kept sheep for less than 5 years. Never been previously registered with British Wool in any capacity. Kept sheep for 5 years or less. This will be determined by the date of flock registration with Defra or the equivalent body in the devolved administrations. Farmers who have taken over a flock from which wool was sent into British Wool will only be eligible if they were not in receipt of the balancing payment from the prior year. All New Entrants will be verified by the British Wool Producer Services department. All successful applications will be at British Wool’s discretion. If an application is unsuccessful, the farmer will be paid an advance and balance in line with those already in the scheme. First year – The advance payment will be set to 100% of the prior year’s clip value. Second year – The advance payment will be set to 100% of the prior year’s clip value plus / minus any balance from the prior year. Third year – The advance payment will be 75% of the prior year’s clip value plus / minus any balance from the prior year. Fourth year – The advance payment will be 50% of the prior year’s clip value plus / minus any balance from the prior year. Fifth year – The advance payment will be 25% of the prior year’s clip value plus / minus any balance from the prior year. Sixth year onwards – Payments will be in line with those already in the scheme.